Switching gears to the continuing tracks of my summer project, my role as Development Coordinator with Architecture For Humanity (AFH) Portland is ramping up in some very exciting ways. For our July chapter meeting, I created an example project for AFH’s new Community Generated Architecture campaign. I chose a site in my own neighborhood, the Cesar Chavez Community Garden, and sketched out a seating structure to enhance the experience of garden users. As an initiative to promote community generated design, I posted my drawing at the site alongside the question “What do you see?”. 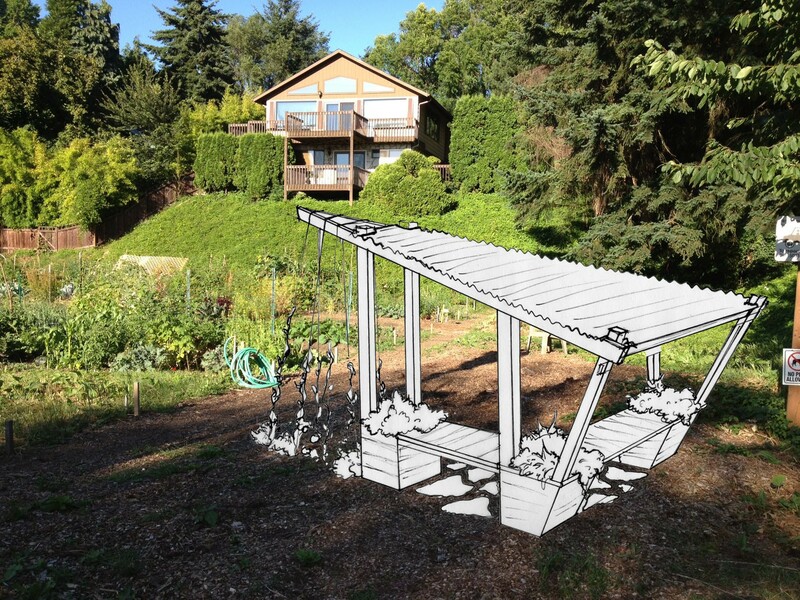 Hopefully, my poster gets a few Portlanders thinking about the possibilities of backyard design. In the realm of file management, I tried my hand at developing a file organization structure and drafted a proposal to implement my plan. To ensure that all files are named and stored correctly, I created a file-naming system as well as a file-management tip sheet for volunteers and project coordinators. The next stage of my file-related work involves creating a file-organization infographic in Adobe to visualize my proposed system. Luckily, I squeezed in some Indesign practice last week, when I put together a short slideshow to present at Portland’s Living Building chapter meeting. The Living Building Institute is an international organization that encourages the creation of sustainable buildings, sites, and communities. The local chapter invited AFH to explain our mission and services at their meeting, where I got the exciting—and nerve-wracking—opportunity to present my current project to a room of design professionals. 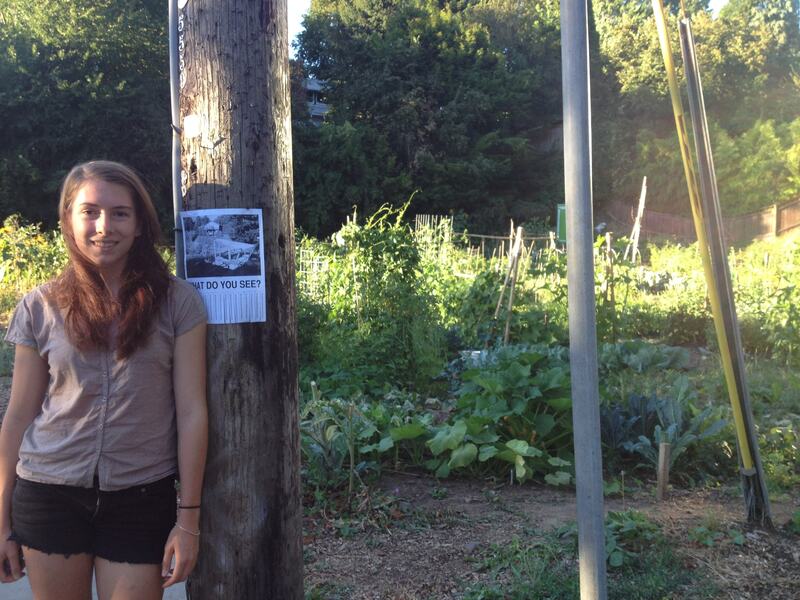 My project involves designing an outdoor kitchen and gathering space at the Seeds of Harmony Community Garden in North Portland, run by the organization Village Gardens. Because the role of beauty in architecture was the theme of this meeting, my presentation showcased the eagerness, collaborative spirit, and cultural vibrancy of the Seeds of Harmony community as the source of beauty in my project. After our AFH presentation, Project Director Rachel Bailey and I got the chance to sit down with meeting attendees for a short design charrette, or brainstorming session. We split attendees into four different groups that focused on four design aspects: constructability, program arrangement, cob oven design, and greywater management. Throughout the process, we asked participants to keep in mind the community’s cultural vibrancy and affordability. 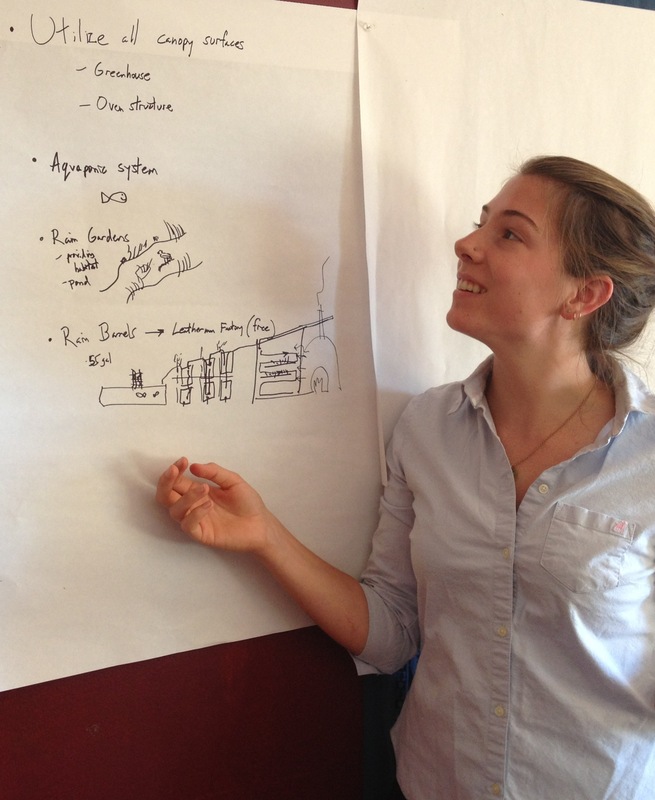 The design charrette furthered the progress made by my project team the prior week when we held our kickoff meeting. At the meeting, we sat down to get to know one another, discuss the project, and suggest possible design directions. Unfortunately, we couldn’t go into many design specifics because we haven’t yet held a dedicated design meeting with the community. Until my team and I get the chance to hold such a meeting—hopefully sometime in the next few weeks—we are gathering design precedents. All in all, the Village Gardens project is moving forward more slowly than I originally expected. As it turns out, coordinating multiple groups of people to produce a complex product takes time. And although I don’t have a lick of experience leading a design team, I do have the time and energy needed to get this project rolling. To learn as much as possible about the design process this summer, I am diving headfirst into my role as project coordinator. Nevertheless, the fact that most of my team members have professional degrees and professional experience is intimidating. So far, I’ve attempted to strike a balance between asking for help and acting like I know what I’m doing. From my conversations with other AFH members, I’m beginning to get the impression that this is a common, and long-lasting step in becoming a professional adult. So, at least I know that I’m on the right track!